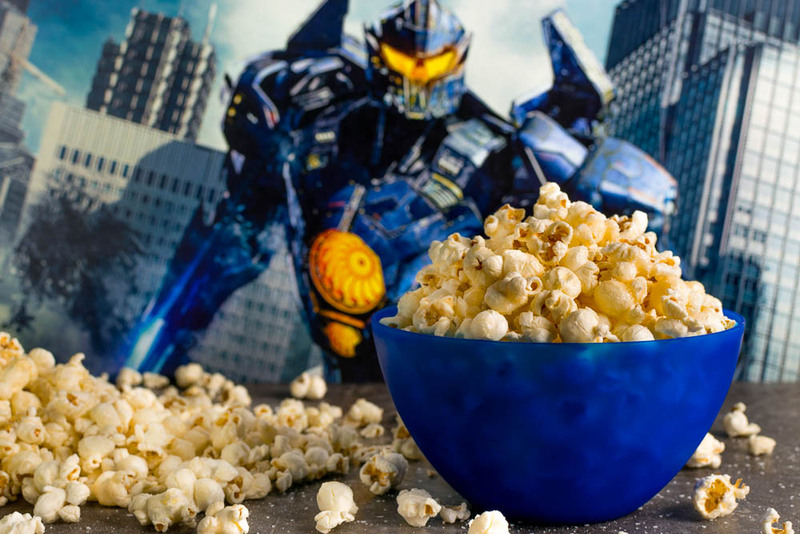 We love popcorn action flicks! Pacific Rim is one of our favorites of this type of movies. So when we heard about Pacific Rim: Uprising we were even more excited. Add John Boyega to the mix and we were sold. We decided for this recipe we would play up the fact that this is a popcorn movie. How? By creating a popcorn recipe of course! 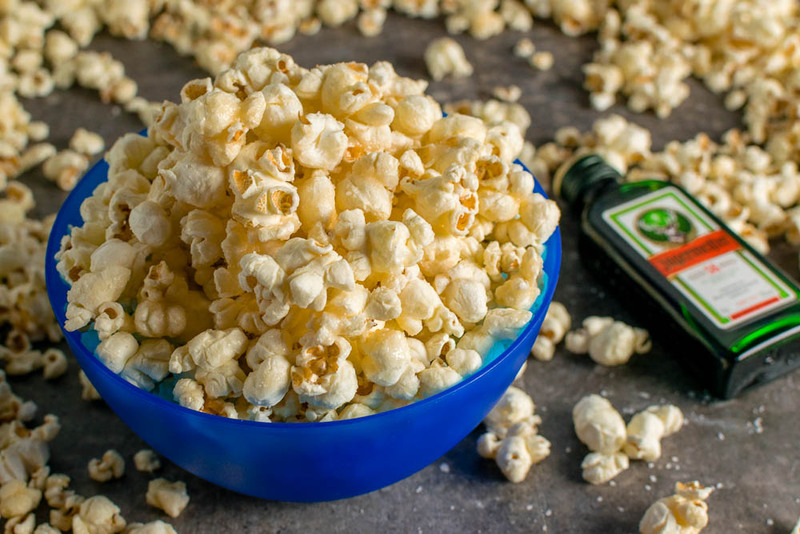 So we created Jaeger Glazed Popcorn! Typically we go a bit more in depth when finding inspiration for our recipes. However, when we were asked to create a recipe for Pacific Rim: Uprising we really wanted to use Jagermeister. We thought it would be a fun way to pay tribute to the Jaegers in the film. We also didn’t want to create a cocktail so we needed to come up with a different way to use the Jagermeister. We decided to come up with a glaze that could be used on popcorn with a bit of sea salt (our way of paying tribute to the Kaiju). We hope you enjoy our Jaeger Glazed Popcorn! 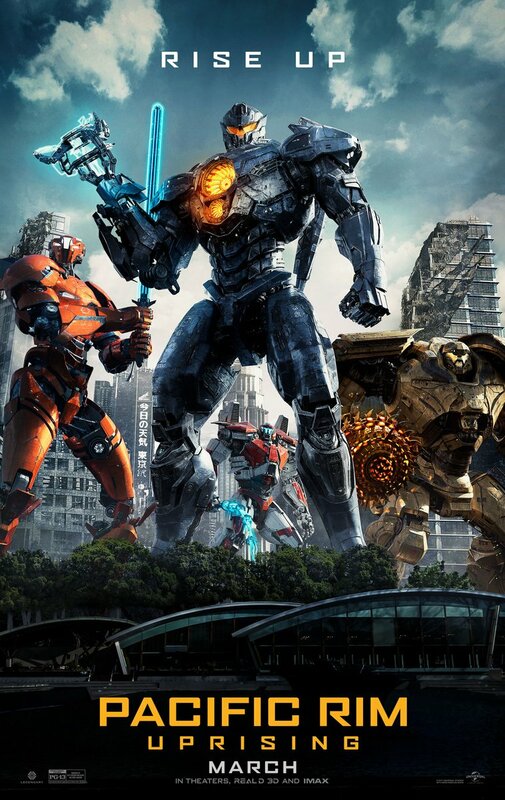 Want to see some epic Jaeger and Kaiju battles? You’re in luck! We are giving away 10 pairs of screening tickets for a sneak preview of Pacfic Rim: Uprising! The screening will be held at IMAX Harkins Arizona Mills on March 20th. The screening starts at 7 pm and the winners should arrive at 6:15 in order to guarantee their seating. Winners will be selected on Monday, March 19th. Good luck! On the stove, melt the butter. Add Jagermeister and water, stir well. Quickly pour over popped corn. Add desired amount of sea salt and toss again. Chill the popcorn in the fridge for 20 minutes. *The Geeks received no compensation to facilitate this write-up; opinions are wholly our own. Screening tickets provided by Fingerpaint Marketing. View our Disclosure Policy for more info.